For more than 30 years i have been a fan of diet drinks. In high school it was Tab. Remember Tab? Then a few years later Coca-Cola came out with a new product named Diet Coke! It was love at first sip! I am an all or nothing kinda girl, so of course I went over board. I woke up in the morning with a Diet Coke and I went to bed with one. It was kinda like my cigarette. When people thought of me….they thought of Diet Coke. I had a diet coke glass to drink my Diet Coke out of. 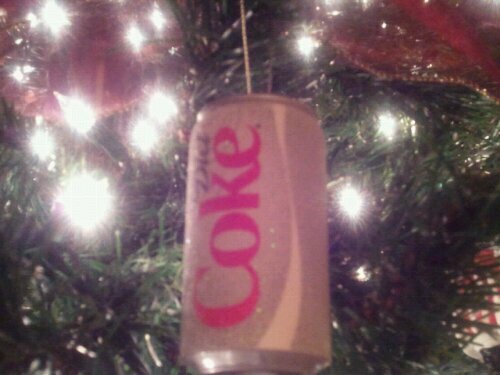 Believe it or not I have, not one but two, Diet Coke Christmas ornaments to go on our tree! What a sicko! I mean I was really over the top, hooked on this stuff so I decided it was time to break off this toxic relationship. On December 29th I took my last swallow of Diet Coke. Ok I’m better now. I have had so many people send me notes of encouragement telling me to keep up the good work and not to give up. Thank you! Well, I am here to update you on my progress. I am now on day 14 with no diet coke! That’s right! Let the trumpets play and the hoots and hollers ring out! My family may not have believed that I could do this , and rightfully so, but you did. My mother thanks you and so do I. Now let’s not fool ourselves……this ain’t been easy….and I’m not done…….I still REALLY want a Sonic Diet Coke but I know all of you are watching and waiting and asking and encouraging so…….. I will not fall of the wagon! Many have asked about the headaches and coming off the caffeine. Well the truth is, I still have caffeine. That was never the problem. It was the aspartame that was the problem and I was wanting to get it out of my system. Now, I can’t prove it but I think the aspartame was making me sick. I was drinking so much of that stuff that it was making me feel awful. My muscles ached so bad, I was walking like an old woman and we all know I am not old! Since getting off the Diet Coke I do feel better which leads me to believe that it was the aspartame or one of the other many chemicals that I was swallowing on a daily basis. I had someone tell me that she had a friend who smoked heavily and drank Diet Coke heavily. When she saw her doctor she asked him, “if I were to choose to quit one of these, which one would you prefer I quit?” His answer? Diet Coke! Wow! As for the caffeine, I have been getting plenty of that from hot tea. 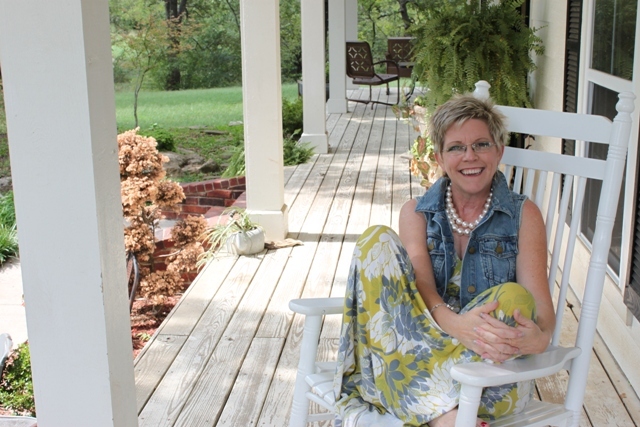 I have grown to love it but now my teeth are turning brown which makes me look like an old lady……..so…..do I want to WALK like an old lady or LOOK like an old lady? Just kidding! In closing, let me say that once I made up my mind and surrounded myself with people who would hold me accountable it has been much easier than I thought and I am very proud of myself for kicking the habit! Do you need to kick one too? Think about it.